Produce a real-time net-pay calculation in order to reduce the time required for planning and sending completion equipment offshore in development wells. 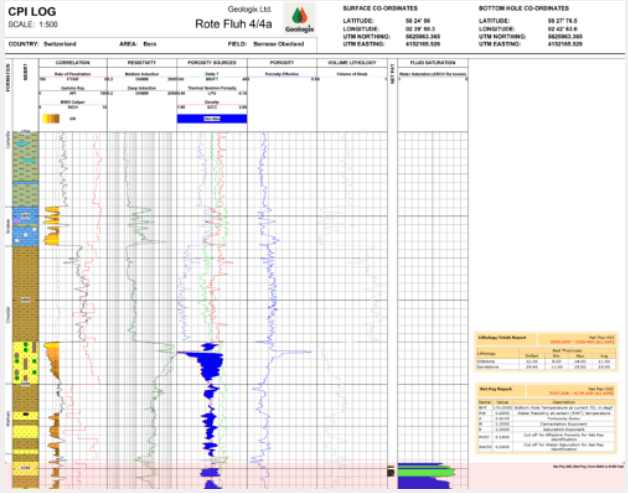 The operator is drilling deviated wells with the assistance of real-time LWD and mudlogging services in a reservoir consisting of layers of sand and shale. Net pay needs to be calculated as rapidly as possible, preferably during drilling, to enable the production and completion engineers to estimate the equipment required on the platform and reduce rig down-time. The GEO software enables the creation of a real-time composite log in which the operations geologist is able to combine all the important data for mudlogging, LWD and MWD data on-time. 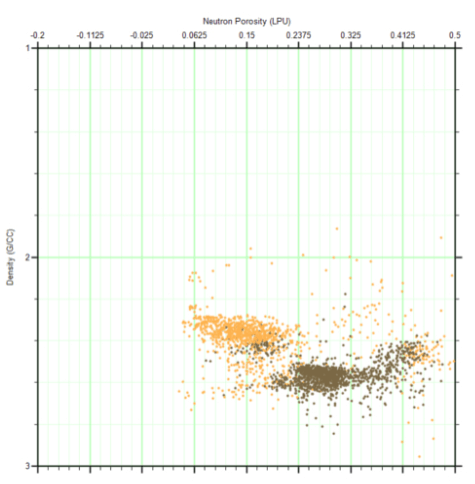 GEO simultaneously displays quick-look net pay using the Simandoux Water Saturation Model and the user's own net pay algorithm (with the user's parameters). In this development field, all zonal parameters are known and already entered or predefined in the operations geologist’s GEO template. Therefore, during the drilling, both water saturation and net pay are calculated in real-time, and a composite log is created, combining mudlogging and LWD data. This gives a far better view of the well leading to improved decision making. The net pay report can then be produced from the composite log to give a quick indication of the total thickness of hydrocarbon contained in the well. The use of GEO in this case provides the information needed by the operations geologist and the production engineers to enable the rapid preparation of well completion equipment, saving time and money through the reduction of rig down-time.